Apostle Bennie L. Kelly has been in the ministry for over thirty-one years and has committed her life to winning souls for Christ and advancing the Kingdom of God.In 1969, Apostle Kelly surrendered her life to Christ. In March of 1973, she preached her first sermon. As a local minister, she founded an evangelistic ministry, which was later dubbed “The Revival Team”. This group of missionaries began traveling from house to house within the local area and then expanded to homes and churches throughout North and South Carolina, laying hands on the sick, preaching the word of God and bringing deliverance to many. In 1976, she would heed God’s call to “fence in the lost sheep” by establishing the Miracle Temple Church in Laurinburg, North Carolina, which was later moved to its present location in Fayetteville, North Carolina. 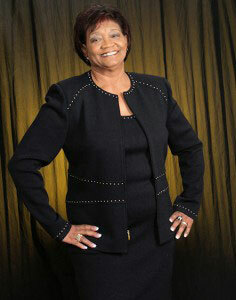 In 1980, Apostle Kelly founded the Holy Deliverance Church of God, Foundation of Truth, Inc. She currently serves as the pastor of the Miracle Temple Holy Deliverance Church of God in Fayetteville, North Carolina and the Christian Family Worship Holy Deliverance Church of God in Raeford, North Carolina. Her international ministry spans the globe, with churches in West Africa, South Korea and across the United States. 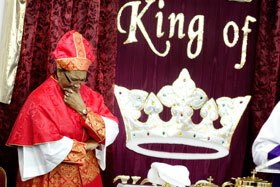 Deliverance for the total man is the theme for Apostle Kelly’s ministry. Her goal in ministry is to help others to realize their fullest potential, attaining God’s purpose for their lives. To this end, she has instituted ministries to meet the spiritual and physical needs of God’s people including, a ministerial bible school, which offers instruction and development for spiritual and administrative leadership for all levels of ministry. Because of her special love for young people, Apostle Kelly has created several ministries, which focus on mentoring and developing disciples among our youth. The Youth Christian Association Retreat is an annual event held to provide an avenue for Christian fellowship and fun activities. To foster the physical and emotional development of young children, Apostle Kelly built the Miracle Years Childcare Center as well as the Miracle Summer Youth Camp, which is designed to nurture and protect children during the summer months. Apostle Kelly also encourages educational development. She serves as a role model in educational excellence, having obtained an honorary doctoral degree from Shiloh Theological Seminary, Stratford, Virginia and a Master of Divinity from Good News Bible College, Raeford, North Carolina. She has also earned an associates degree in Early Childhood Administration. Additionally, she has extensive training in church law and tax regulations. To encourage others to pursue excellence in education, she has established a scholarship fund to provide financial support to college students as well as tutoring services for school-aged children. Presently, Apostle Kelly has a media library, which includes over 1,200 power packed messages. The media ministry is aired over radio broadcast stations; WIDU 1600 AM in Fayetteville, North Carolina and WYRU 1160 AM in Red Springs, North Carolina. Deliverance for the Total Man can be viewed every Saturday at 8:30 am on WFPX-ION Media Network, local channel 62, and cable channel 9. The fivefold ministry gifts are manifested in the life of Apostle Bennie L. Kelly. Acting in the role of apostle, she has planted churches fostering spiritual growth and maturity in the life of believers. In the role of the prophet, she delivers a prolific word, proclaiming a message of hope and deliverance as well as warning men to flee the wrath of God. As an anointed teacher, she shares revelation knowledge of the word of God, which empowers people to live in the abundance God has intended for his children. As a pastor, she shepherds the flock of God faithfully, always willing to motivate, encourage and administer discipline as needed to safeguard the sheep. As an evangelist, she boldly declares the word of God with great wisdom and power, encouraging others to follow her example as she follows Christ. Within her, God has placed a hell-shaking anointing that incites fear in the enemy. She consistently crushes the gates of the enemy’s camp to preach deliverance to those held captive by Satan. Her life of service manifests her commitment to God’s purpose and mandate.